Full Management or Self Manage ? Landlord Direct have been managing rental property for over 20 years, running general let, student apartments, and high end short stay serviced lets & company lets. 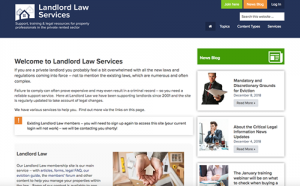 In June 2019 the Tenant Fee Act will come into force which will ban agents and landlords from charging sign up, referencing or administration fees to tenants. This has forced the majority of traditional agents to increase their commissions to landlords which now generally range from 10% to 14 % plus vat. The private rented sector is facing a time of great change, and many landlords may feel safer using full management packages from local accredited letting agents located near to their rental property. Letting agents will have to increase their commissions to meet the demands of new legislation. Landlord Direct has teamed up with Fantastic Services who provide a wide range of property maintenance services that are perfect for the private rental market. Opt for a frequency that works best for you. Just visit their website to arrange your one-off service or to set up regular maintenance. Fantastic Services operate in a number of UK locations.